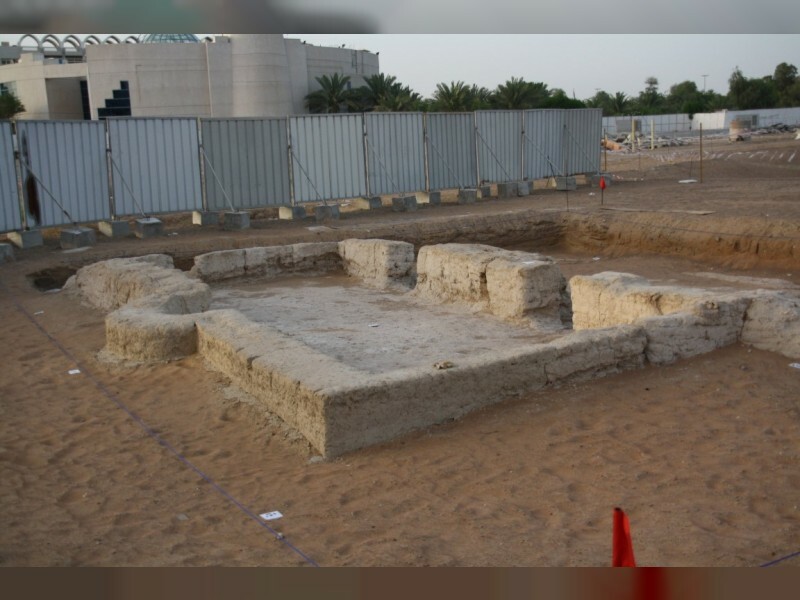 ABU DHABI, 10th September, 2018 (WAM) -- The discovery of the remains of the UAE’s oldest known mosque is one of those magical moments when the past reaches out to remind us that, for all its recent rapid development, this nation’s roots lie deep in the sands of time, an editorial in a local English language daily has said. The editorial, in today's edition of The National, said, "The 1,000-year-old building, unearthed during construction of the new Sheikh Khalifa mosque in Al Ain, was built within 400 years of the death of the Prophet Mohammed. This was at the height of Islam’s Golden Age, when science and culture blossomed under the influence of the Baghdad-based Abbasid Caliphate." The paper went on to say, "The humble mud-brick remains speak volumes about the reach and influence of Islam at a time when travel was difficult and dangerous – Al Ain is more than 1,500km from both Makkah and Baghdad. "The discovery, like many other finds before it, also contributes to the demolition of the myth that the region was a barren wilderness until its "discovery" by western powers in the 16th century. "Alongside the mosque, archaeologists have also found the remains of an ancient falaj, the ingenious irrigation system that made agriculture possible in the desert. "By happy coincidence, this was also the week that the British Museum renamed a gallery after the UAE’s founder. The Sheikh Zayed bin Sultan Al Nahyan Gallery tells the story of how farming was introduced in the Middle East, spread to Europe and shaped the modern world. "It was Founding Father Sheikh Zayed who, in 1959, initiated the first archaeological discovery in what would become the UAE – buildings and tombs that bore witness to a Bronze Age culture centred on the island of Umm Al Nar, off Abu Dhabi’s Eastern Mangroves. "Since then, numerous finds have followed, from the 5,000-year-old tombs in the shadow of Jebel Hafeet, which reveal trade links with Mesopotamia and the Indus Valley, to the discovery of a 9,000-year-old Stone Age settlement east of Liwa oasis. "The latest finds in Al Ain add yet another chapter to the compelling story of a land whose people have for millennia played a central role in the economic and cultural development of the region. "Announced on the eve of Al Hijri New Year, a time when Muslims remember the birth of Islam and reflect on the passage of time, they also remind us that the past, the present and the future are part of one continuous, timeless narrative," concluded the Abu Dhabi-based daily.